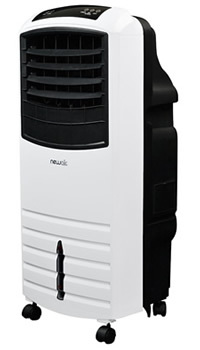 There are several top swamp coolers on sale right now that have attractive benefits so let's compare the best models to see which suits your needs and wants in an economical air cooling solution. I'll be taking a look at several factors in this comparison article to make it easy for you to decide which model you want for your home, office or workplace. These are the main deal breakers for most people so I'll be providing hard facts and manufacturer claims for each model in the comparison. I'll also be including some additional information such as the unit's longevity, build quality and ease of assembly where appropriate. However this information can be somewhat subjective and not necessarily provably factual as individual units may not be representative of an entire product line. Let's take a moment to expand upon each factor that I'll be looking at (as listed above) so you'll get a better understanding of what each one can bring in terms of benefits to the owner. 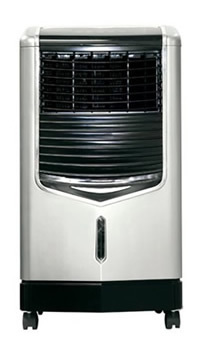 The tests on air cooling capacity and efficiency are what you should expect to get when used in ideal climate circumstances, which is very low humidity. This is a pretty difficult one to actually nail down as the manufacturers put out a recommended retail price that stores should charge, but in reality many stores discount that price to get more customers to buy from them. So while the recommended price may seem a little high if you've already been doing some research of your own, you're bound to find a better price with a store discount. That's because individual store prices will fluctuate depending on how much of a discount they're offering on the day of purchase. For this reason I can't publish hard prices because they'll be out of date by the time you read this article. However, I have included a store widget from Amazon that does display their current price, which should give you a good starting point. This figure is made up of several factors that the manufacturer claims and is a fixed element that can be reported factually. 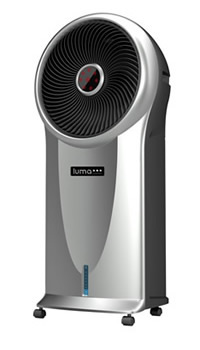 These factors include the area of a room that can be effectively cooled, the unit's air flow capacity in cubic feet per minute (CFM) and the amount of temperature reduction it is capable of in ideal circumstances. This is another fixed element that can be factually reported according to the manufacturer's specifications for the model. It is the amount of electricity the unit consumes on its low setting in electrical units (Watts). This is the capacity of the water tank that comes with the unit. It determines how much water can be placed in the machine to keep it running for a certain length of time before it needs refilling. Some models have easier refilling than others and I'll be noting this too. This can be a little subjective, but is based on how easy the controls are to figure out and also if the remote is easy to use or not. 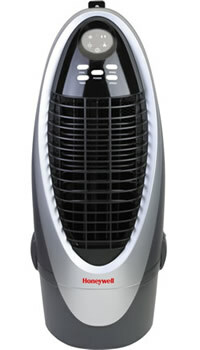 It also covers whether the unit is suitable for use overnight in a bedroom or can be used outdoors. Again, this can be a little subjective but is based on hard facts such as the unit's dry weight (without water) and size (overall dimensions stated as Height x Width x Depth in inches), the quality of its casters (wheels) and how easy it is to move around from room to room. This will consist of any additional benefits can be had from owning a certain model such as whether it's tank can be hooked up to a garden hose for continuous running without manually refilling for example. I've simply taken some of the top selling models from a cross section of manufacturers and reported my findings here in an easy to read table. How Much Power Does a Swamp Cooler Consume? 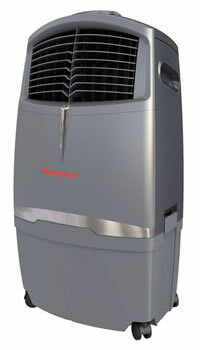 The power consumption of vent free, portable evaporative coolers varies from model to model, but in general you can expect medium size units to consume between 100-200 watts of electricity. The energy use is determined in the main by the size and power of the internal fan that drives the wind through the machine. 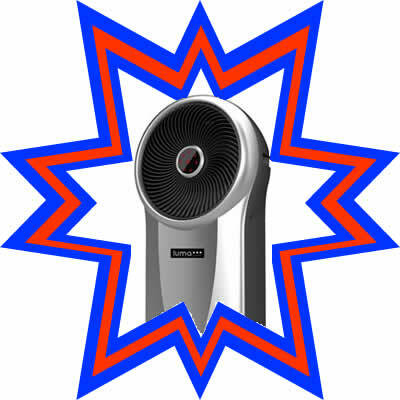 Larger machines that have greater cooling capacities will naturally use more electricity because they have bigger fans! However, you have to remember that even a high powered evaporative cooler still uses between 1/10th and 1/20th the amount of energy a comparable air conditioning unit will use to do the same job of keeping you cool. That's a massive saving in energy costs especially when you add it up over a whole summer season. It almost makes it a tempting idea to move from a place that has a humid climate to one that has a dry climate to take advantage of the savings! Well, maybe not, but you get the idea!